Breathtaking unobstructed views of Long Island Sound and Mill Pond woth a sandy beach directly off your deck. Open first floor layout includes a large kitchen with center island, sitting area with gas fireplace, a separate den and powder room. French doors give access to a large wrap around deck perfect for outdoor entertaining. The second floor offers two guest bedrooms, a full bath and the Master Bedroom Suite with cathedral ceiling accented by whitewash pine wainscoting and a plethora of windows that offer incredible views of the water. A full bath and a sauna complete this tranquil space. Outdoor shower. 1 car garage. 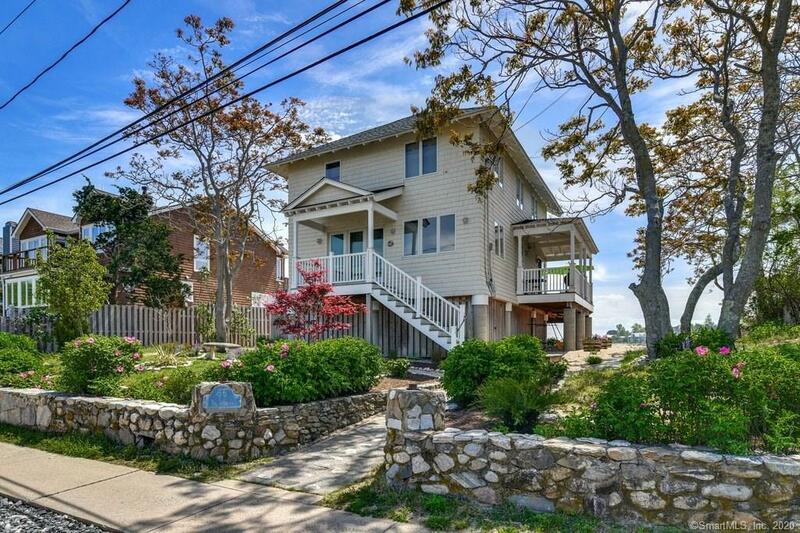 Coveted island community in Compo Beach area. Elevated to FEMA standards., Please note: Association fee covers common area ground maintenance only. Flood Insurance: Presently under $2000 per year according to owner. According to owner house was elevated in 2014 and First Floor was completely rebuilt. Compliant to current FEMA standards. House built on pilings. Concrete floor on ground level. Detached single car garage (#14) is located on mainland before walk way. It has a separate field card. Annual taxes (2016-2017) are $361.00, assessment is $21,400. Whirlpool tub in as is condition. Directions: Hillspoint Road, Left On Compo Mill Cove. Park In Lot, Walk Across Bridge. Gated.